Basement apartment, private entrance. 2.2 miles from the stadium. Basement apartment. Private entrance. Renovated in 2018. Living room/bedroom combo as found in many hotels. Mid-century modern furnishings. Kitchenette includes sink, refrigerator, microwave, coffee maker, dishes, flatware, etc. Private modern bath. Secure fast WiFi. Street parking, key issued at check in. Located in the Sunnymede neighborhood, one block south of historic Wayne St. (where Knute Rockne lived!). 1.5 miles to downtown, near many good restaurants, entertainment. Walkable (a long walk) to Notre Dame but most guests take Uber, LimeBike or drive. A nice, quiet neighborhood. Please note bed is full size (54x75), not queen (60x80). Your satisfaction is the number one priority. You’ll find this apartment spotlessly clean and well equipped. This listing is owned by a retired hotel General Manager. This was our 15 year anniversary weekend and we had such a blast staying in this basement apartment! The location to Notre Dame was perfect! We rode scooters to and from campus and also used Uber - we absolutely loved the location! This place was so very clean, uniquely decorated, had all of the amenities and Steve was very welcoming! The neighborhood and house were so cute and we felt very safe! Steve respected our privacy while also giving us several recommendations and ideas and was available with questions, etc. Our stay was even better than expected! We will highly recommend Steve and his basement apartment to friends and family. I hope that we even get to go back again some day! It was a wonderful place! A friend & I stayed at this property for a Notre Dame football game weekend and it couldn't have been better. The location is great, right near downtown & a short Uber ride away from campus. Steve was so very informative prior to our arrival about the property & how to gain access. The space was very clean, spacious, & comfortable. I'd highly recommend! Very nice property in a nice neighborhood. It was also close to the stadium. Very nice property. Steve was a great host. My husband and I stayed here while we were in town visiting relatives. 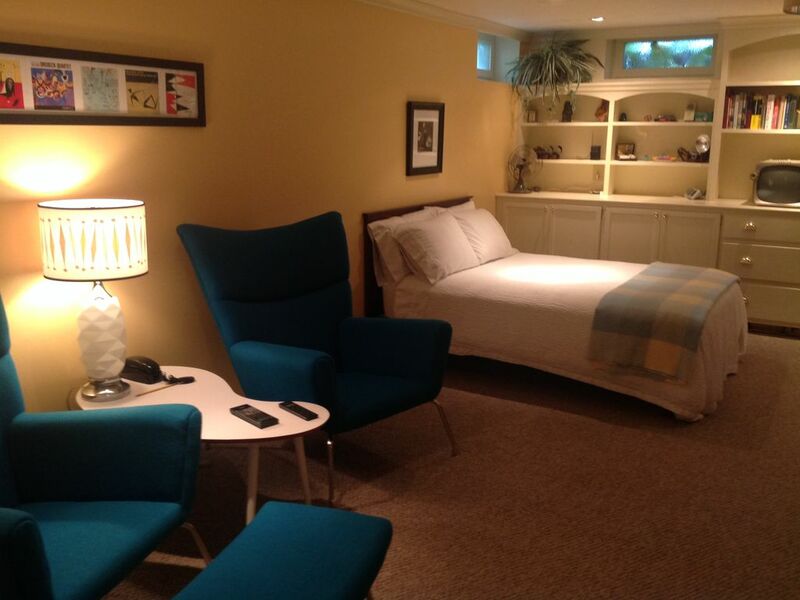 Steve's place is charming, super-clean, comfortable, and conveniently located in an adorable neighborhood. He was a fantastic host and thought of everything. He was incredibly thoughtful to work with and we would gladly stay here again. Highly recommend! Great location, great accommodations and Steve was very helpful. I will stay here again. This was the best experience my wife and I have had with VRBO and it is all because of Steve the owner. He went well out of his way to be hospitable. He picked us up at the airport and showed us around and told us of things to see and do in South Bend. The place was immaculate. I would recommend this to anyone needing a place to stay in South Bend. Great location, Great host and Great apartment. Thanks so much Steve.